I decided to visit the pub as it has been nominated by the local CAMRA branch for Pub of the Year. It certainly wasn't for the beer which was only 2 rather weak beers, Hogs Back HBB (3.7%) and By the Horns Stiff upper lip (3.8%) at not equivalent cheap prices (£3.80 per pint).It wasn't for the decor since the lounge which goes right round the bar contains mainly hard wooden dining type chairs and tables apart from 2 very worn leatherette easy chairs which look like they have been rescued from a skip. It clearly is laid out for the sale of food and virtually everybody bar me was eating when I was there. I can only assume it was for the rather quirky bar made from cut down doors complete with various chipped paint, door knobs, hinges and letterboxes and the colanders used for lamp shades. The new word in the Oxford dictionary "shabby chic" seems very appropriate. It appears to be a pub run by young people for a younger clientele (20-30s). Jack Boc, what has happened then since January? It was not busy and I think I know why. I had a visit planned in the back of my mind since being told about this place by a landlord of a pub in north Kingston so was pretty disappointed and a bit annoyed when I spent a bit of time in here. A pint and two small bottles of beer cost over £12!?! I was thinking of eating and had a quick look at the menu before seeing the prices and quickly forgetting it! No decent Ale only expensive lagers. I know Thames Ditton is full of 4x4 Porsche driving maniacs who like nothing better than a bit of poncing. That does not mean you can charge those sort of prices unless you are trying to cater for a souless poncy poky little pub attracting these sort of tossers. 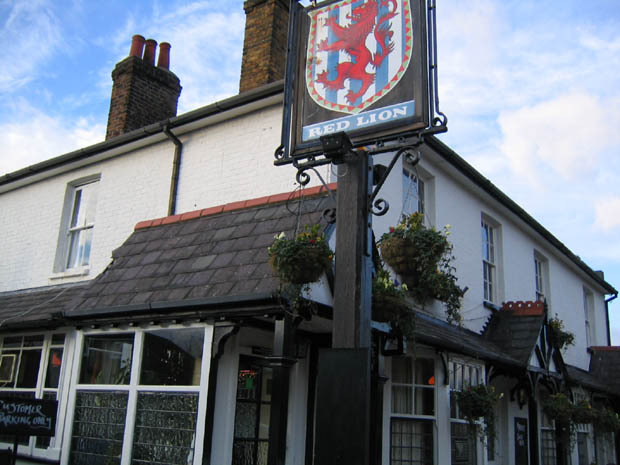 I remember the Red Lion to be pretty bad but now it is a complete disgrace. 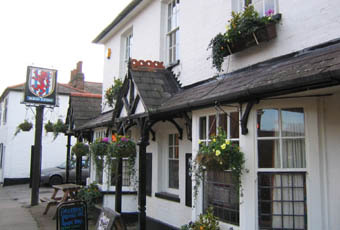 A new landlord/ chef has recently taken over this pub and it has been completely refurbished. It is now well worth a visit. The decor is fairly striking (e.g. 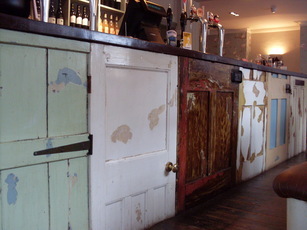 reclaimed doors as the bar front) the atmosphere is friendly, the beer excellent, and the food really good too - refreshing daily menu of fresh cooked food. Locals are voting with their feet as it is usually fairly busy. The back area is now closed off but may open in the future. Visited for a CAMRA branch meeting. Fullers Summer Ale, Windsor Knot and a Hancock's seasonal beer. Tried the first two which were in pretty good condition (both �3.15), evidently the Hancock's was flat. The Windsor and Hancock's had new fangled pumps which made them look like keg beers at first. Large room for food out the back and a garden beyond that. Friendly welcome. At this point he said "well, you can leave then." I didn't need any more encouragement and walked out. I think his actions speak for themselves.